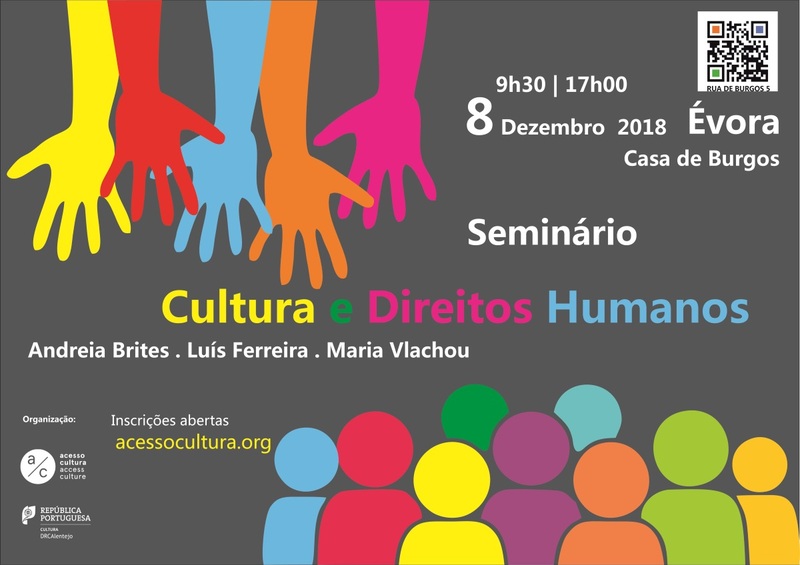 The Regional Directorate for Culture of Alentejo marks the 70th anniversary of the signing of the Universal Declaration of Human Rights. In addition to Article 27, on the right of all people to freely participate in the cultural life of the community, we will reflect on the role of culture in defending various other human rights in a society that is always complex and facing a setback in many countries in Europe and around the world.. Discussion of three themes in three groups, conducted by each of the three trainers. The people enrolled in the seminar will indicate which topic they are interested in discussing in their registration form. Each group reports on the conversation; open discussion. Presentation and discussion of some children’s and juvenile titles that legitimise human rights, reflecting on social inclusion, migration, education, war, populism and forms of dictatorship, gender issues. Luís Ferreira: And when there is no need? Taking part freely is choosing. Choice is the result of a consciousness and a need. And when there is no need? What can be done in places where there is no room for critical thinking, training and production, resident companies and artists, programming structures and informed public? Maria Vlachou: My culture, your culture – can we live together? Concrete cases in the area of ​​politics, education, and justice that seem to challenge living together in a society of people from different cultures: the Web Summit’s invitation to Marine Le Pen; the decision of a Portuguese court to allow a young Roma to leave school; the request of Muslim parents for their sons / daughters to be exempted from gymnastics or music lessons at school.